CRYSTAL’S EXPANSION CONTINUES AT AN ever-accelerating pace. In Germany to initiate construction of the luxury line’s first river ships, president and CEO Edie Rodriguez announced the company has ordered six river cruise yachts – two more than expected. The vessels, to be delivered between 2017 and 2019, will take Crystal’s river fleet to a total of seven – Crystal Mozart, the largest passenger ship on Europe’s inland waterways, is currently being refurbished and re-fitted, and will make her maiden Danube voyage in July. delivered next summer. The 110-passenger Crystal Mahler and Crystal Bach will sail on the Rhine and the Rhine-Main-Danube; the 84-passenger Crystal Debussy and Crystal Ravel will be on the Seine from Paris and the Gironde, Garonne and Dordogne from Bordeaux. Further details of the other two ships are yet to be announced. 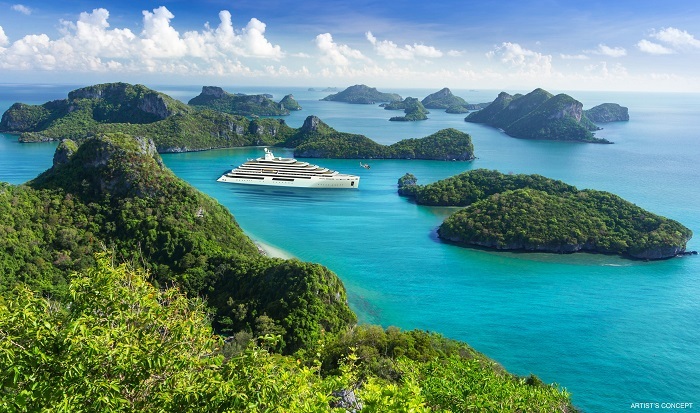 On the oceans, luxury yacht Crystal Esprit, launched last December in the Seychelles, will be joined by luxury exploration yacht Crystal Endeavor. The first of three new Crystal Exclusive class ships is scheduled for delivery in 2019, and the company is awaiting the results of a technical survey that will decide whether it is feasible to restore the historic liner SS United States.